I love my clients. I feel like a proud auntie when I get to see all my precious baby friends at their milestone sessions- from sweet snuggly newborns, to smiling 3 or 4 month olds, when they are 6 months and love their feet or are even starting to sit, 9 months where sitting and crawling are likely events, and when they're one- pulling up, walking, speed crawling... It's so cool to see them grow in these beautiful glimpses. 9 month old baby with mom and dad in a field of flowers. Spring in Colorado makes my heart so happy. I can’t wait for the dandelion season. We call the little white puffs “Wishes”, and while it makes my hubby crazy when they kids blow the puffs into the yard, I can’t help but swell with love for the magic of a new season. Do I love these families and sessions? Yes, very much! I love going to their home and playing with their toddler, snuggling their newborn, and getting to chat with them about the precious babies. 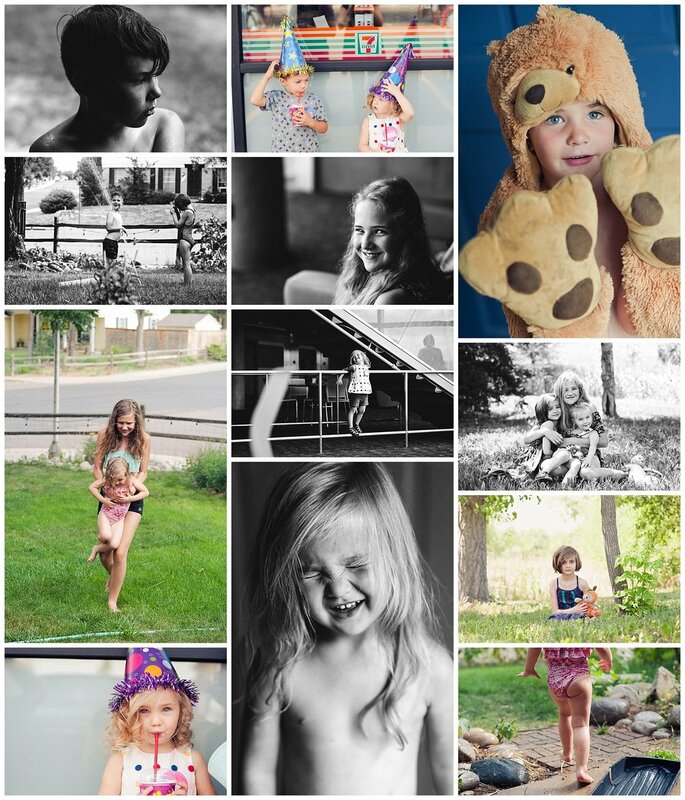 I am so lucky to visit these Denver Families, photograph their little ones and newborns, I truly love this job. Thank you for trusting me with your sweet little girl P family! I can’t wait to watch both kids grow. Fall in Colorado. Every year I think I will slow down and back off of sessions, and then the color hits and I’m reminded not only of the beauty of Colorado but also the amazing families who live here. We play, we explore, and we embrace all that is our amazing state in September and October. Thank you R family for trusting me with your babies and coming out to play. Oh sweet Isla, what an honor it was to get to photograph you and your family. You are nothing short of an angel. Your nursery was like a magazine. 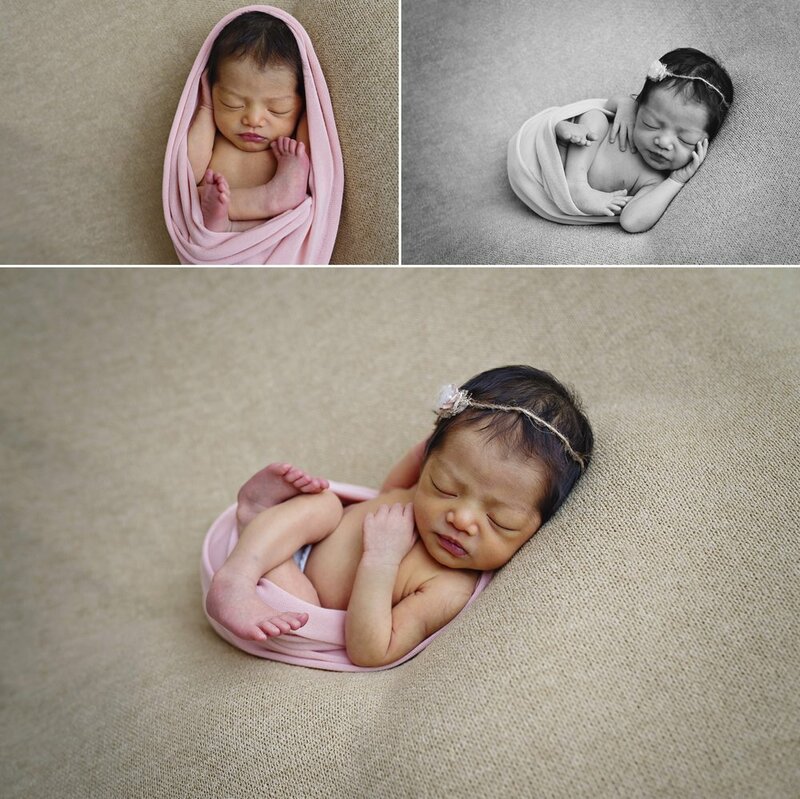 This In Home posed and lifestyle Newborn session was so refreshing. Thank you G family for welcoming me into your home, letting me snuggle your precious baby girl for a few hours, and letting me laugh with your boys. I’m going to trickle families over the next couple of months, because I had so many amazing families this fall but don’t want to totally overwhelm you in one post! I had more fun with these kiddos. 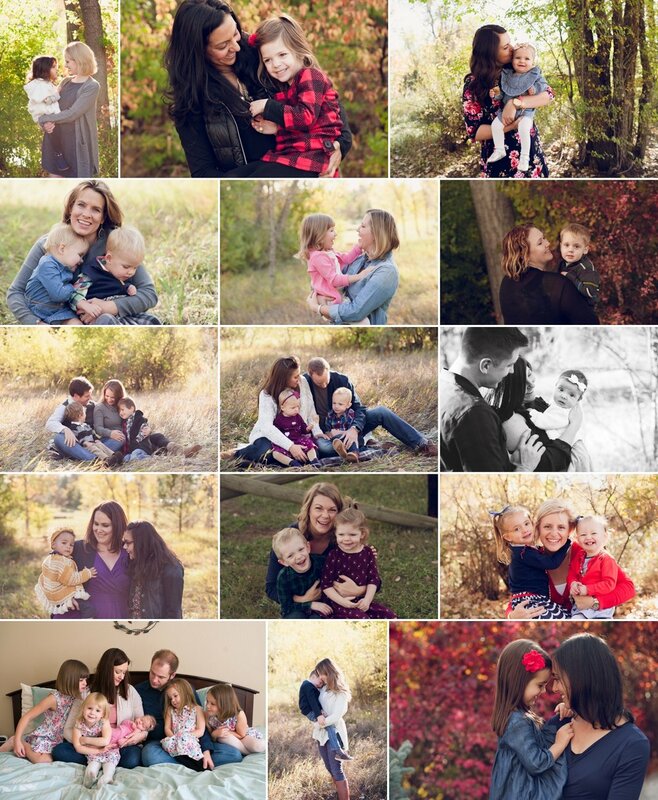 They came for my Denver Mini Sessions for Families, and we giggled and played the whole time. I love when parents can let their kiddos play and have fun with me and trust that we will make beautiful images. Thank you for coming to see me S family!! Sometimes families just click with you. 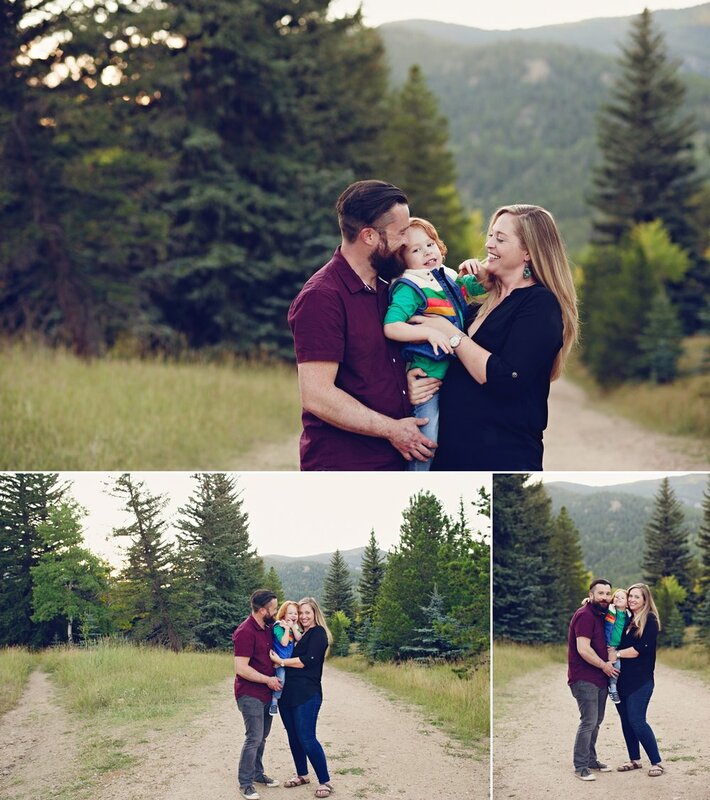 This sweet family traveled to Evergreen all the way from Texas, and had family photos taken while they were here in Colorado. I loved meeting them- we all had a blast! So thankful they chose to have a photography session while they were on vacation! I love kids. I love how dynamic, fun, creative, inquisitive and how DIFFERENT they all are. Its one of the highlights of my job, getting to meet and observe not only newborn babies, but their toddler, preschool, and other siblings. Seeing how they engage with their new baby, and what they think of all the things I bring in their house for a posed and lifestyle newborn session is always so fun. These kiddos were so amazing as I photographed their brand new baby sister. They pulled up a chair, their coloring books, and watched. It was so sweet and reminded me again of how unique each child is, and why I love meeting all of them. I’ve had kids who sat in my lap, wanted a turn themselves, wanted to climb things, had general disinterest, or wanted to help in all ways. It was just another lovely story to add to my book, having them engage the way they did. Add in a perfect newborn and beautiful, kind, sweet parents and you have the perfect day in my book. Thank you so much for allowing me into your home to photograph your children and family. I loved every second of it! Fall Mini Session Spots are here! Because you're on my list, you get dibs on spaces before it opens to the general public. 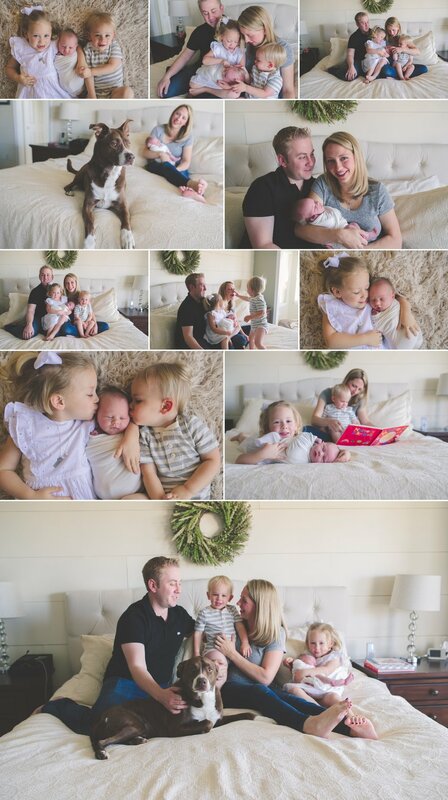 Mini Sessions are here for 2018! Spots will fill quickly. Sessions are 30 minutes long and include 10 of your edited digital images from our session together. Any additional images will be available for you to choose in your digital gallery. Mini Session fee is $275. Below are several dates to choose from. Official locations will be announced 10-14 days before the sessions take place (So I can watch for the very best fall color). All you need to do is click the box of the dates you would like, and then click the time and fill in your info! Easy peasy. You should get an email confirmation and you are all set. Session fee is due the day of the session. Deposit Invoice will be sent within 48 hours of booking for $25. Please pay to hold your spot. Half and full session inquiries can email me kim@brinkstreetphotography.com to select your special date and start customizing your session. MOVED TO DENVER METRO AREA!!! UPDATE!! NORTHERN COLORADO MINIS HAVE BEEN MOVED TO DENVER METRO AREA DUE TO INTEREST! Please Email me with Questions, or Half/Full Date requests. I will be sending out a what to wear guide to all families that have booked in the next 4 weeks so you can dive into your outfit designing! As always, please don't hesitate to call, email, or text if you have ANY questions at all. I am so excited to see you, your kids, and how much they have grown! Sweet Baby A, I am so glad I got to come spend the day with you in your home photographing your newborn baby photos! It was such a gorgeous day in Evergreen, and you were gorgeous too! Thank you so much A Family for trusting me to photograph your family, and your precious baby girl. 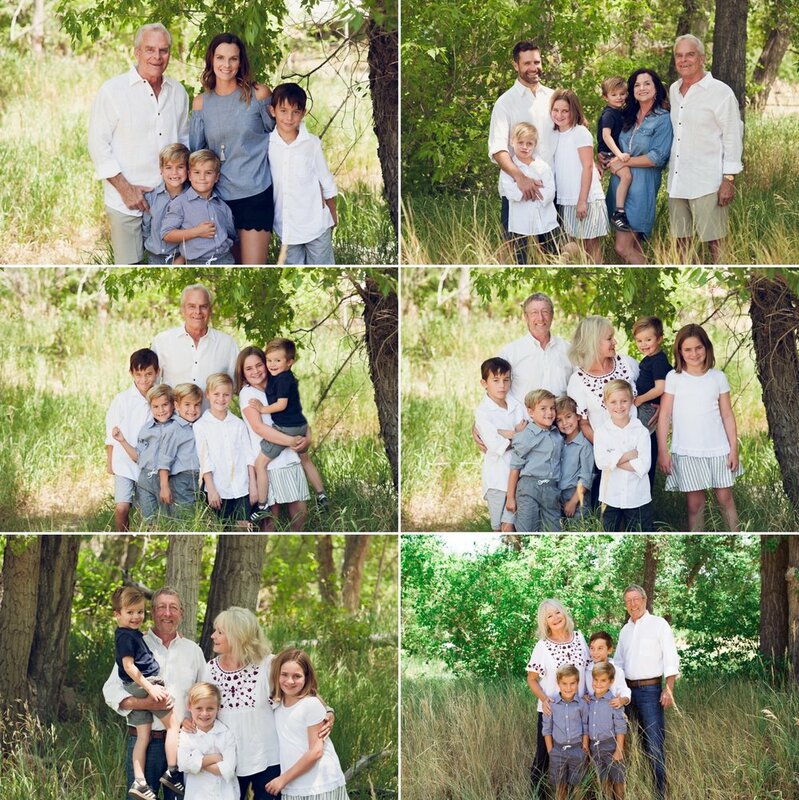 Twins, Cousins, siblings, grandparents- it doesn't get much better than the extended family getting together on a hot summer day and taking pictures and having fun together. Bear Creek Lake Park is the perfect environment for a big family gathering and photo shoot. This beautiful Parker family came to me from one of my other beautiful clients. 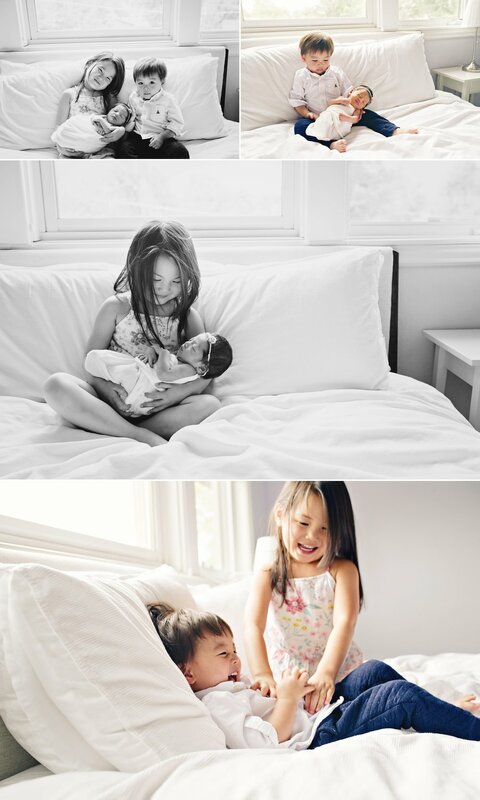 Their sweet big sister was so excited about her baby brother, and he was an angel to photograph. I love taking pictures of toddlers with their new baby sibling- some are SO excited (Like this sweet girl) and some don't know what to do, and that's equally precious. It's a moment in their life that will quickly change! I'm certain they have both grown so much already. To all the beautiful mothers, grandmothers, mothers to be, and those who dream of motherhood, Happy Mothers Day. Thank you for letting me capture your hearts. I love the light in Denver in Spring. I also love this precious family. I have been lucky enough to know them through the years, and was so honored when they asked me to photograph their beautiful newborn baby girl in their Centennial Colorado home for their posed and lifestyle session. This baby girl was an angel. She slept like a champ, and when she was awake, she was just alert and happy. Such a precious Newborn! Denver In-Home Newborn Photographer. I come to you so you don't have to leave the comfort of your home in those first days after birth. All you have to provide is you! I'm so thankful for Colorado's sunshine, especially when I'm shooting in a Denver home as beautiful as this one! The light was incredible for their newborn session. It makes me so happy when I get to do a combination of posed and lifestyle newborn photos, and even happier when it is a family I love as much as I love the C family. I have been so honored to photograph them the last couple years- we have ventured all over the state, into the mountains, in the city- it's been wonderful. I am so excited to watch these sweet kiddos grow. ‘Impressions‘ is a creative project by an eclectic group of female photographers from around the globe. Every other month, we share a selection of images that tell the story of what inspired us in the previous weeks. We are free to explore the meaning of ‘impressions’, and it is likely to change month to month. Yes, these are all cell phone photos. I'm totally guilty of capturing them more with my phone than the big camera- but it's so much easier to be in the moment. Hailey turned 12 in January, Noah turned 10. We volleyballed and helped at school and snuggled as much as we could! It was a crazy couple months but also a good couple months. Then came Teagan's birthday, 8 years old! We went and saw our precious friend star as Annie on the big stage for Teagan's birthday. 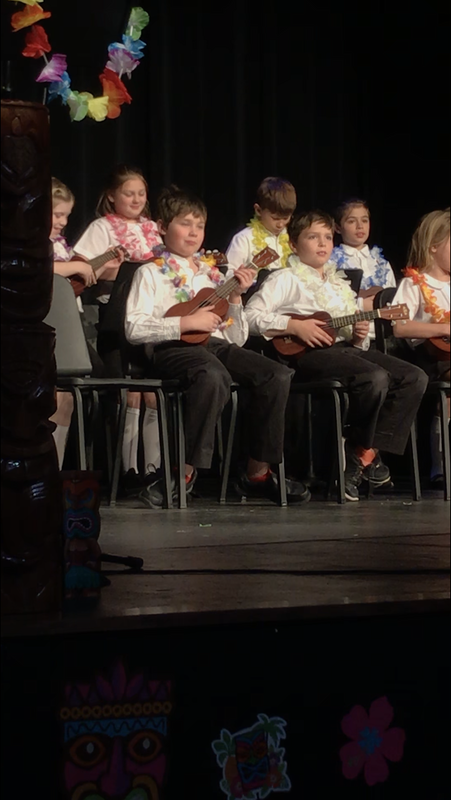 Then a million holiday concerts, a few amazing newborns (blog posts coming soon! ), and Christmas. 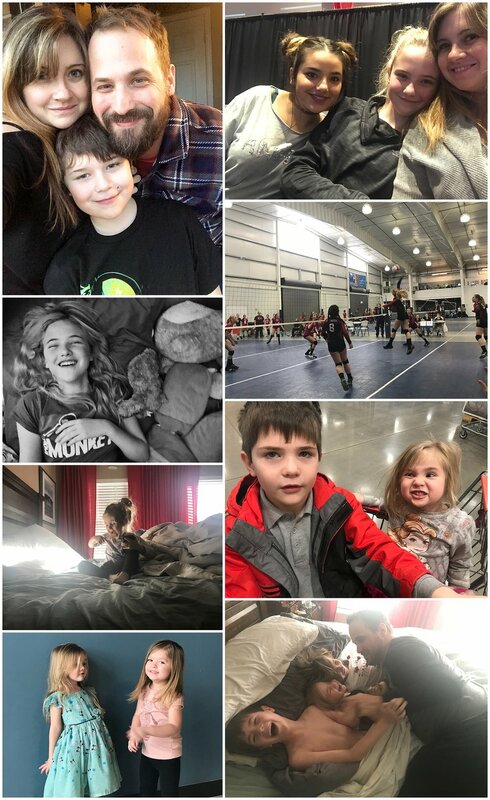 It was a quiet, sweet holiday- and then we all got sick! It flew by, as most months do, but it was good. Visit Leslie next, and complete the circle until you end up back here! I know we all hear it a lot this time of year, but gracious this year went quickly. I feel like we were just getting settled into 2017- and here we are about to turn over to 2018. This year has been, so say the least, busy. Both with photography and home life- and it leaves me craving more balance. A desire to be more intentional and present in both photography and home life. This post isn't about resolutions though, this post is for you. All of you beautiful, wonderful, kind, colorful, loving families who put your faith in me and my camera to capture a moment in your life. To you, I give you my deepest thanks, warmest hugs, and best wished for the coming year. I hope I get to see each and every one of you again. Thank you for the time you spent planning what to wear for your photo session, driving to our crazy destinations, or welcoming me into your home. Thank you for letting me snuggle your babies and play with your kids. Thank you for laughing when I act like an absolute fool to get your kiddos to laugh, and doing your best to stay calm when even Miss Kim's best tricks aren't working (we got those smiles after all though!). I am certain I missed a family or two, maybe more, in creating this collection. Please know if it was you- it wasn't on purpose! So much love to all of you. Here's to 2018! Summer was short, but we drank up as much as we could. Harper turned 3... which to me was us officially leaving the baby stage of our life. It was emotional- but so fun. Make sure you visit Leslie and continue around our circle- they have the most beautiful photos! Fall minis have filled up almost entirely, and I started receiving requests for 2 new minis spots. So, this year I am offering 2 specialty mini sessions that I've never done before! First: October 1st: Mountain Top Minis - Up to the top of a mountain pass, surrounded by peaks, channeling sound of music. Second: November 18th: Snow Minis- Let's get in the holiday spirit, chase the snow wherever it may be, and build a snowman (or have a snowball fight)! Mini Sessions are $275 and include a 30 minute session filled with fun and no pressure, and 10-12 edited digital images with a print release. Holiday Cards & Prints are available separately. READY TO BOOK?? HERE’S WHAT YOU NEED TO DO! 1. Look through the dates and locations below. 3. Choose your time and reserve your spot. 4. Get ready for fun! Exact location will be decided 1 week before sessions and sent to participant's emails. Snow sessions will require shorter notice as we won't know where the best snow will be. Please email me at Kim@brinkstreetphotography.com or call/text me (970)227.4927 if you have ANY questions. A $25 deposit is required to hold your time, OR you can pay in full and receive a free print. Once you book, I’ll send you an invoice for to reserve your space. I can’t wait to hear from you!